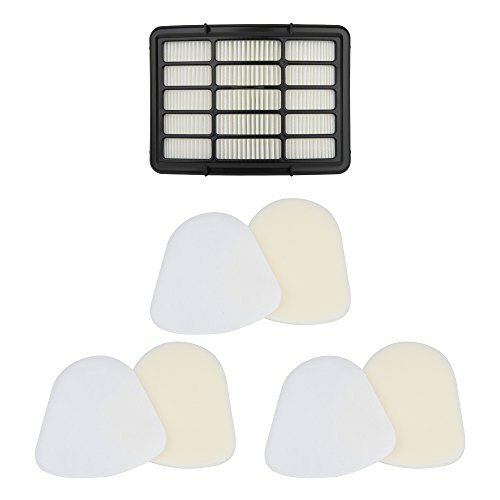 Filter Set Fits, NV350, NV350A, NV350E, NV350Q, NV350T, NV350W, NV350WC, NV350WM, NV351, NV352, NV355, NV356, NV357, NV360, NV370, NVLFT199, UV440 Vacuums. Colorfullife High Quality and Long Life Warranted We are a professional company for Vacuum Cleaner Parts products Manufacture. High Quality Colorfullife Vacuum Cleaner Parts are Made of high-strength and environmental protection material Warranty Promised 12 months Warranty, 30-day money back guaranteed. Look for the green house to be sure it is safe for your home !! 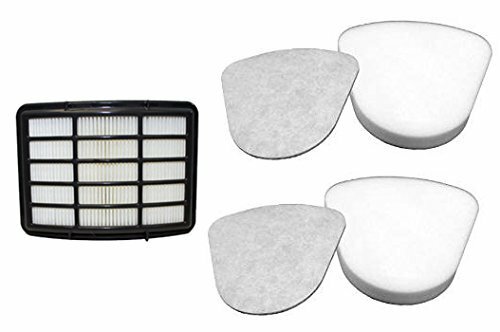 2 Foam + 2 Felt Filters + 1 H.E.P.A Filter fits Shark Navigator Lift-Away models NV350, NV350A, NV350E, NV350Q, NV350T, NV350W, NV350WC, NV350WM, NV351, NV351 26, NV352, NV355, NV356, NV356E, NV357, NV360, NV370, NV391, NVLFT199, UV440, UV490CCO, UV540 Pre-Filter Kits (Containing 2 Foam and 2 Felt Filters) + 1 Hepa Filter Replaces Shark Part # XFF350 & # XHF350. Designed and Engineered by Casa Vacuums in the U.S.A !! Compatible with: Shark Navigator Lift Away Deluxe:UV440,UV440 26, UV490CCO,NV360,NV351,UV540 Shark Navigator Lift -away Pro NV370,NV356E,NV355,NV391,NV357,NV351,Shark Navigator Lift-away NV350,NV352,replacing Part # Xff350 & # Xhf350 Note: This is not a Shark® Original product. The Shark® brand names and logos are the registered trademarks of their respective owners. Any use of the Shark® brand name or model designation for this product is made solely for purposes of demonstrating compatibility. 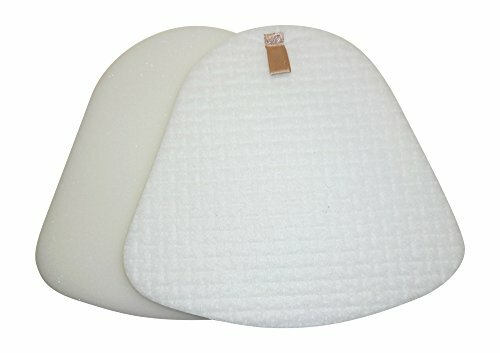 included: 2 x Foam Filters 2 x Felt Pre-Motor Filters. Product Dimensions: 5.9 x 5.5 x 2.8 inches Fits Shark Navigator Lift-Away models: NV350, NV350A, NV350E, NV350Q, NV350T, NV350W, NV350WC, NV350WM, NV351, NV352, NV353, NV354, NV355, NV356, NV357, NV360, NV370, NV391, NVLFT199, UV440, UV540. Replaces Shark Part # XFF350 & XHF350 NV350-370. PERFECT FIT-Our unrivaled replacement kit is 100% compatible with the original vacuum cleaner and you will have no problem installing it properly. No tools or special skills are required! Absolutely essential for allergy sufferers! Notice: Please note that our high quality replacement filter is custom made and unbranded and that we have no association with the original Shark Nv350 vacuum cleaner suppliers. 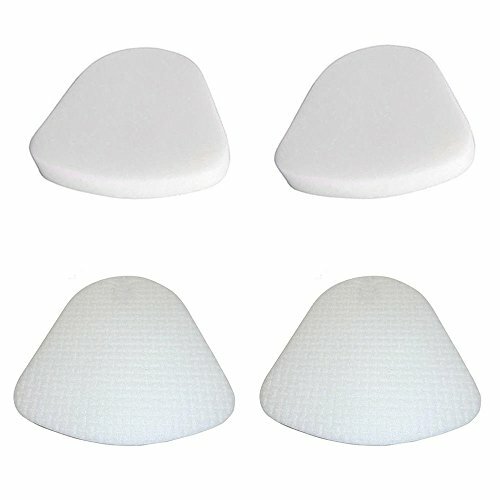 Our filter is a compatible replacement and not original. 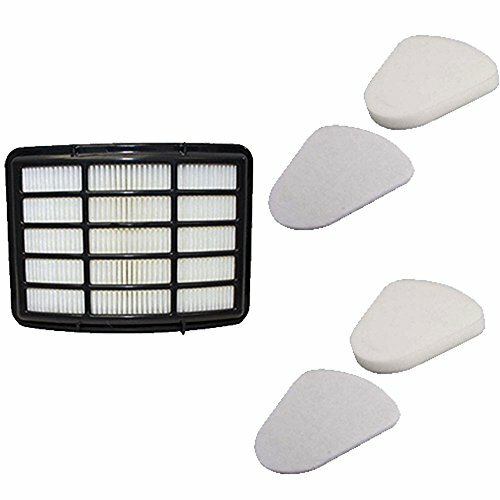 Features: Package included: 1 x Post Motor HEPA Filter 2 x Foam Filter 2 x Felt Pre-Motor Filter This is a High Quality Pre-Motor and Post Motor HEPA Filter Kit ,The Foam Filters can be washed and reused ,(make sure they are dry before re-installing). 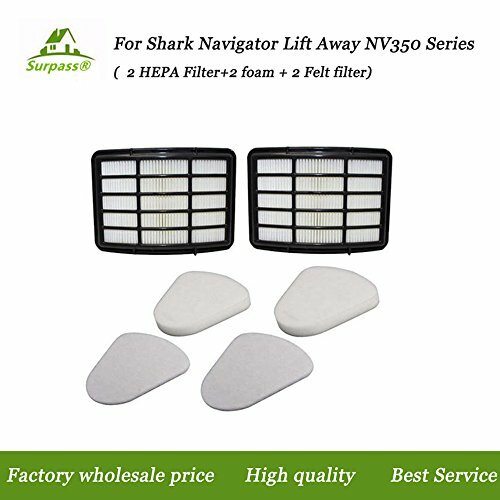 Fit Shark Navigator Lift-Away models: NV350, NV350A, NV350E, NV350Q, NV350T, NV350W, NV350WC, NV350WM, NV351, NV351, NV352, NV355, NV356, NV357, NV360, NV370, NVLFT199, UV440. Replaces Shark Part # XFF350 & XHF350 NV350-370. 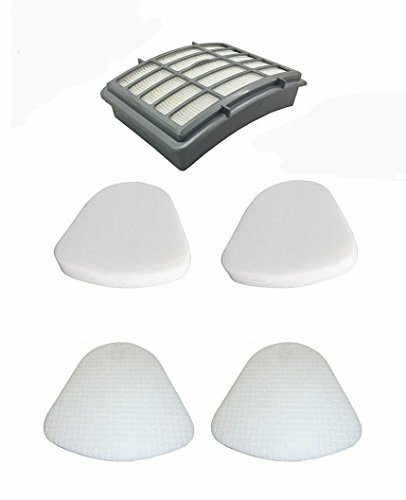 TOP QUALITY-Made with the highest quality, durable and environmentally friendly materials, these replacement accessories will definitely exceed your expectations. If you want to restore the optimal performance of your vacuum, these are the Shark Nv350 parts that you will need! 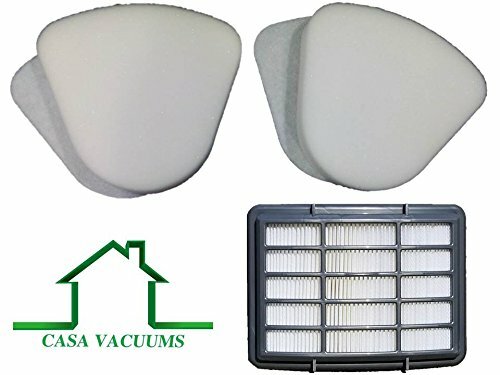 Notice: Please note that our high quality replacement filter is custom made and unbranded and that we have no association with the original Shark Nv350 vacuum cleaner suppliers. 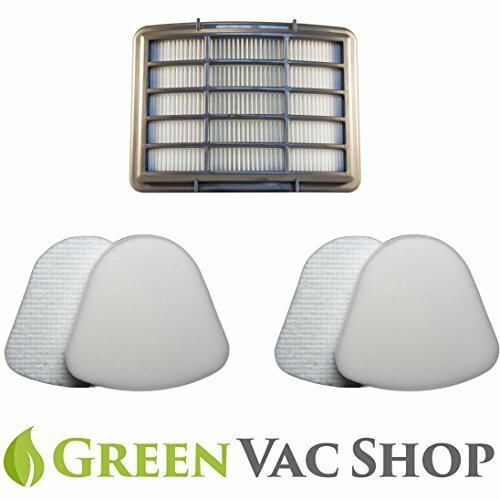 Our filter is a compatible replacement and not original. For more vacuum news and reviews check out http://www.vacbin.com I demonstrate how to wash the filters on an original Shark Navigator. 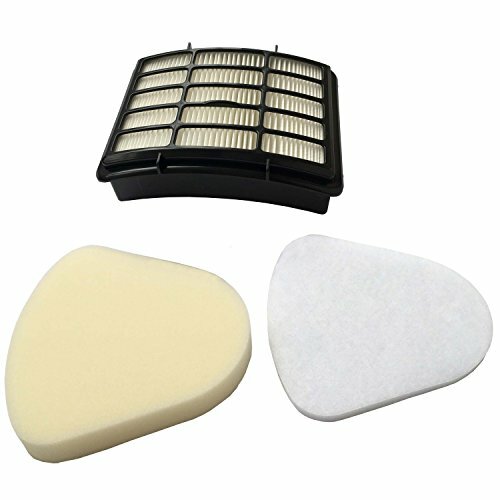 Compare prices on Shark Replacement Filters Nv360 at ShoppinGent.com – use promo codes and coupons for best offers and deals. Start smart buying with ShoppinGent.com right now and choose your golden price on every purchase.